​Nicolaus Krieger was born August 30, 1853 in Norka, the son of Johannes Krieger (born 1822) and Elisabeth Brehm (born 1824). Nicolaus was confirmed in 1869. For most of his life he was known by his Spitznamen of Garte (Garden) Krieger. Nicolaus married Elisabeth Hefeneider (Höffeneider) in Norka on February 21, 1875. Elisabeth was the daughter of Gottlieb Hefeneider (born 1824) and Katharina Hohnstein (born 1823). The Hefeneider's, who were killed and their mill burned, had a daughter who married Garte Krieger, so called because he lived in the garden and orchard area lying at the northeast corner of the village of Norka. He had a private bridge leading from the first road through Norka into his yard across the ﻿Grosse Bahn﻿ in the garden area. ​His was the first house east of the village. The home of the Hefeneider's was taken over by the Russian government and used as the State owned liquor store after the death of the old couple. It was situated next door to the Aschenbrenner’s home. 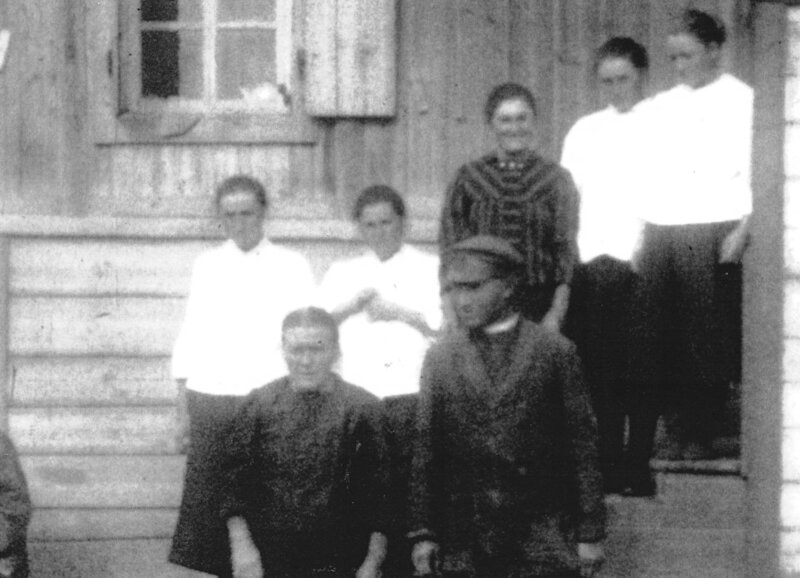 Photograph of Nicolaus and Elisabeth Krieger taken in Norka. Courtesy of Lois Klaus and Lynn Huber. Brill notes that Nicolaus worked as a flour grinder at Peter Sinner's Mill in Norka. 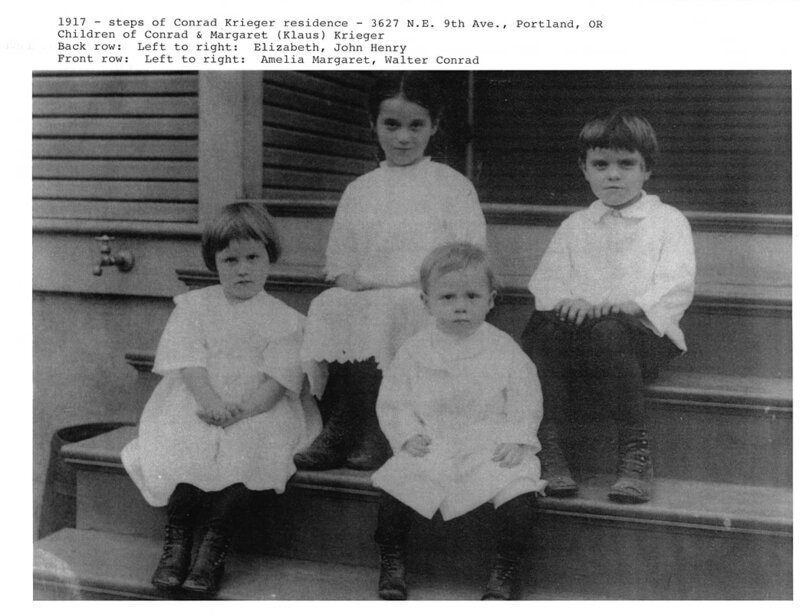 The Krieger's became parents to at least 9 children: Magdalena (born December 31, 1874); Heinrich (born January 16, 1876); Conrad (born May 27, 1878); Katharina Elisabeth (born August 16, 1880); Sophia (born April 18, 1883); Johannes (born November 15, 1884); Lorena (born July 8, 1888); Peter (born March 9, 1891); and, Johannes (born December 30, 1894). Five of the children died in early childhood. 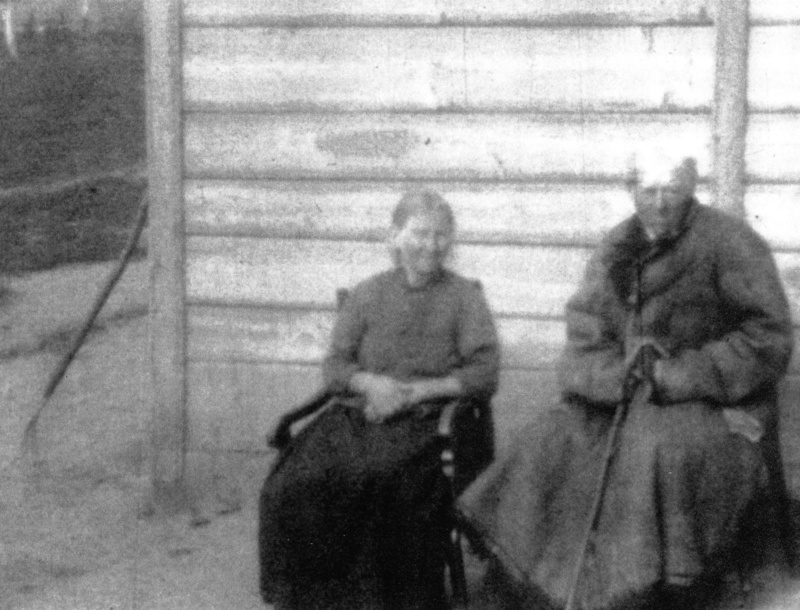 Nicolaus and Elisabeth were fortunate to survive the famine of 1891-1892. Heinrich (Henry) married Dorothea Klaus in 1896. Dorothea was the sister of Jacob Klaus and Peter Klaus who immigrated to the United States and settled in Portland, Oregon. 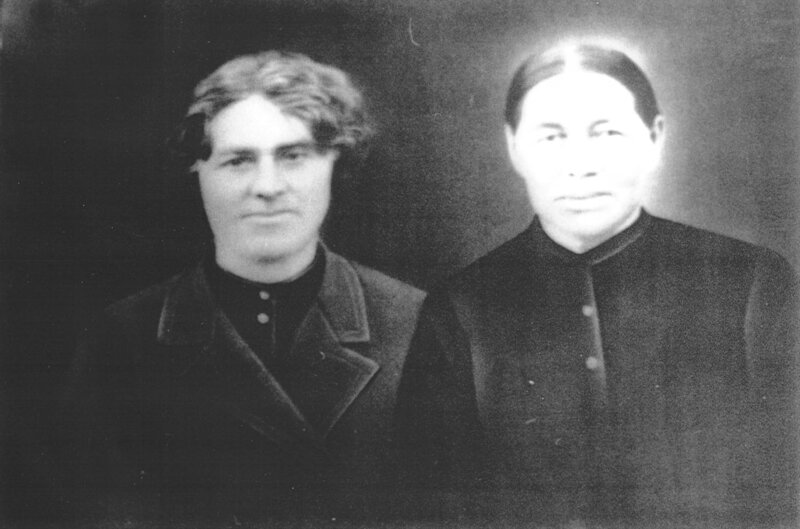 Conrad married Margaretha Klaus in 1900 and they immigrated to the United States and settled in Portland, Oregon. Photograph courtesy of Lois Klaus and Lynn Huber. Katharina Elisabeth (Katherine) married Jacob Aschenbrenner in 1903. Katherine and Jacob ​also immigrated to the U.S. and settled in Portland. Sophia married Heinrich Traudt in 1905 and they joined Conrad and Katherine in Portland. Garte Krieger was expelled, or kicked out of the Versammalung (Brotherhood) because he was notorious for escorting widowed sister’s home from prayer meetings and getting fresh with them. His daughter married Jacob Aschenbrenner and lived on 7th Avenue in Portland, Oregon. Apparently, the strategy employed by Nicolaus turned out to be successful and resulted in a second marriage to a Mrs. Pauli (Pauly). Nicolaus and Mrs. Pauli are also shown in scenes from the film taken by Heinrich Wacker (from Portland) in 1928. Henry and Dorothea, along with four daughters and their maid, are also shown in scenes from the film. Wacker wanted to see for himself the conditions in Norka following the severe famine from 1921-1924. It is very likely that he had been asked by the Portland Krieger's and Klaus's to film this family. Nicolaus and Mrs. Pauli in 1928. Source: A frame from the film made by Heinrich Wacker in 1928. The Henry and Dorothea Krieger family in 1928. The women wearing white blouses are the daughters of Henry and Dorothea. The woman in the darker blouse was a maid. Source: A frame from the film made by Heinrich Wacker in 1928. Nicolaus Krieger died sometime after 1928 and was buried in the Norka cemetery. Brill, Conrad. "Memories of Norka". The collection of Lois Klaus courtesy of Lynn Huber.